The number nine and dragons are very important in Chinese culture. 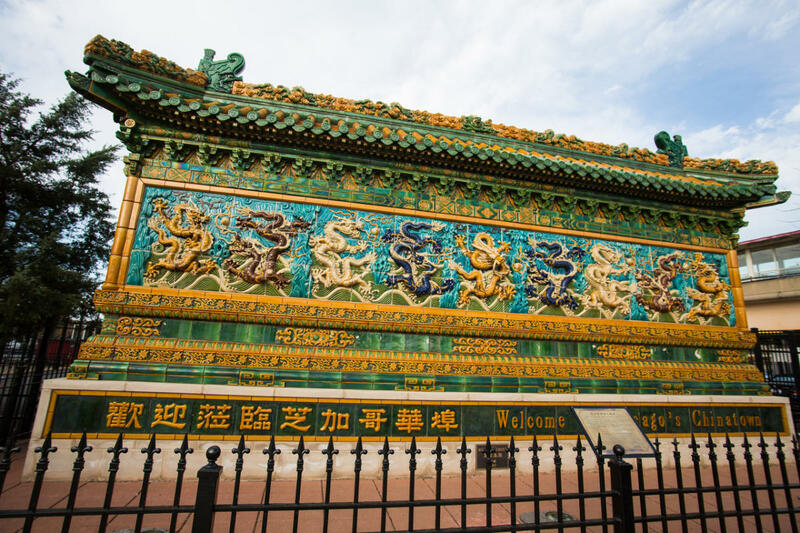 This particular wall is made of glazed tile from China and is modeled after the wall in Beihai Park in Beijing. The Chinatown mural replicates the large dragons and over 500 smaller dragons painted in red, gold and blue signifying the Chinese focus on good fortune. The Nine Dragon Wall is one of the only three such replicas outside of China.